One day, after nine years of waking up hung over, Susan Richards realized that she was an alcoholic. Susan had a new horse, a spirited Morgan, and something had changed in her. As she says: "It had something to do with Georgia. It had something to do with making a commitment as enormous as caring for a horse that might live as my companion for the next forty years. It had something to do with love." Every day Susan learns a little more from Georgia - the kind of horse who doesn't go for indecision, who doesn't apologize for her opinions, and who is afraid to be herself. 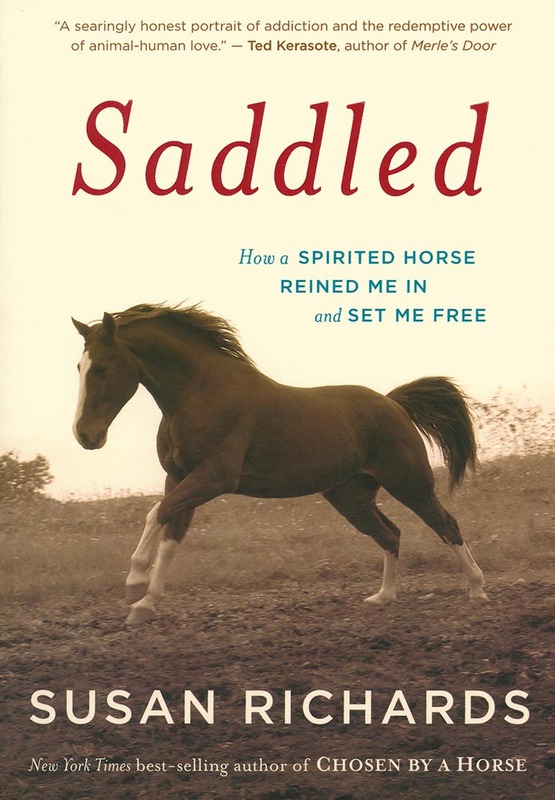 And through Georgia, Saddled reminds us of the power of animals to carry us through the toughest times in our lives, and of the importance of constancy, and of the way loving a good (and sometimes bad) animal can keep you going.